HERE COMES SANTA CLAUS, HERE COMES SANTA CLAUS! 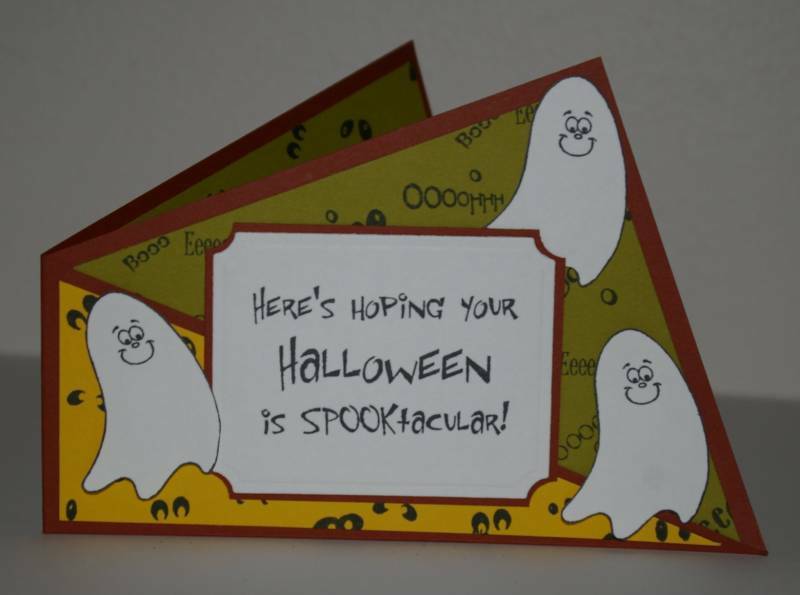 Hi there and hope ya’ll gobbled till you wobbled…lol… I just want to share a few things before I give you the cards. 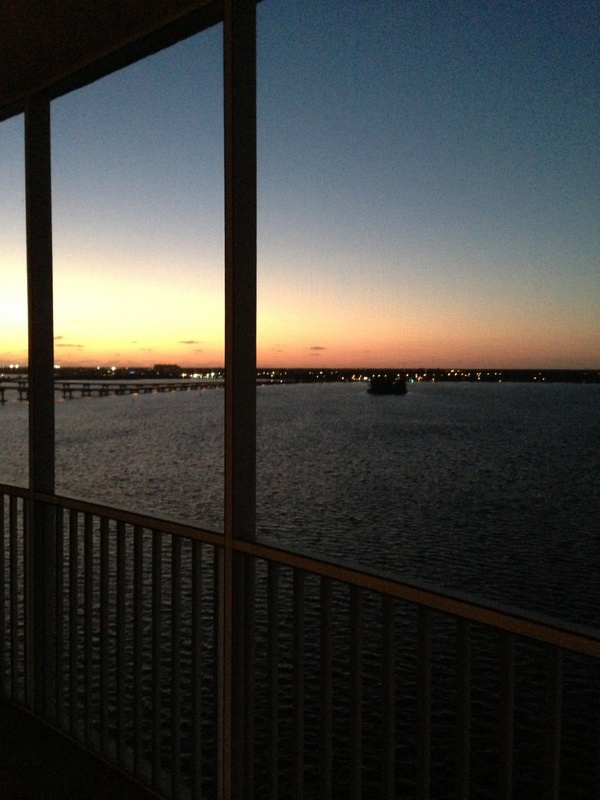 First this is going to be my last post before January 4, 2013. I just have so many things to do during this holiday season and assume that most of you do too. I will be back but this one is going to have several things for you to try so hopefully that will keep you busy. 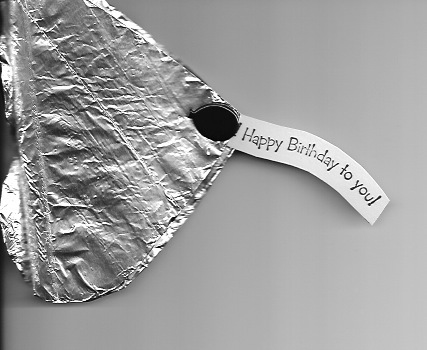 MINE wrapped in tinfoil and the reason you are seeing the bits of the top of the hearts is that I squished it a little to lay it on the scanner….when standing they don’t show. 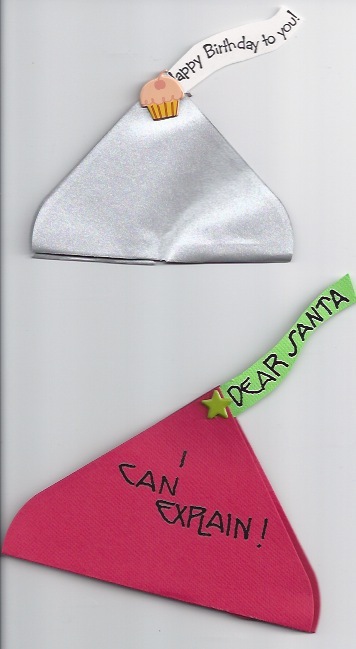 But you can see the lines in the tinfoil and so I went a step further and thought why not cut it out of silver card stock, which of course I had some available…lol…it was left over from a previous year’s Christmas card. 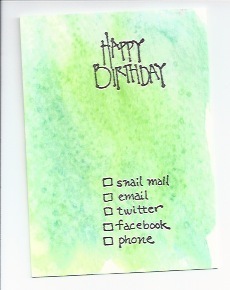 Also you will note that I made it a birthday card instead of a holiday card. 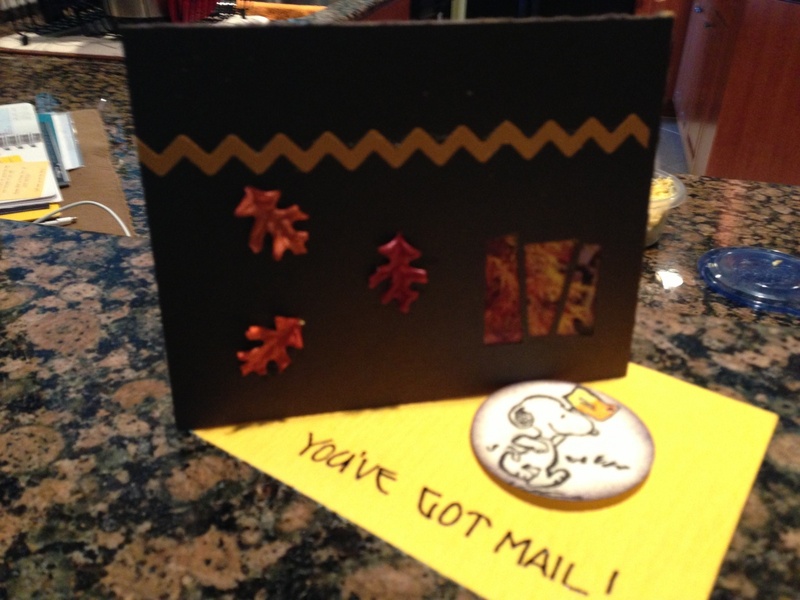 It could also be a THANK YOU CARD with something like you deserve a kiss…thanks for your help etc. OH I was so excited about this card I didn’t realize that it had been used as a THANK YOU… duh… In any case I thought you might like to give it a try. It’s actually quite easy and the one thing I did discover is that regular double stick tape is maybe not as strong as using that red double stick tape so that it doesn’t come apart, especially if you put candy inside it. 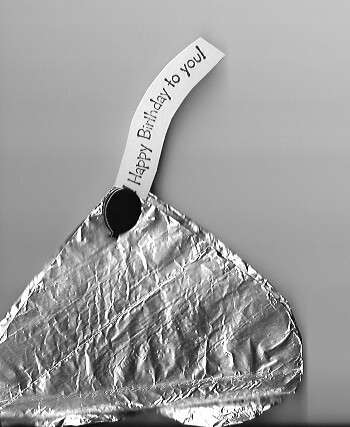 If you don’t want to stick candy but maybe only a note inside it then you can pinch a pleat into the bottom and it will fold flatter. If you used anything kind of embellishment that you can feel thru the envelope then you will need to use the 65 cent stamps. 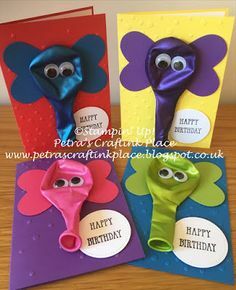 It wouldn’t hurt to also use a cushion envelope to protect it a little better and if you had the heavy duty foil to wrap around it I think you would see less lines and creases ie it would be smoother. 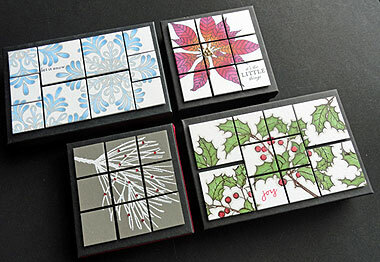 Now this next card/cards are from DAWN (thank you) and they are all small they are cut 3 x 6 and folded in half then decorated… She uses them mostly as thank you cards but they are cute and you can use them for birthday or thinking of you also. I only gave you one link but if you check her videos you can look for MONTHLY thank you’s and see how she decorated each of them; the card is basically the same just different decorations. She ususally posts a different one each month this one is from October’s and I really thought it was very lovely. 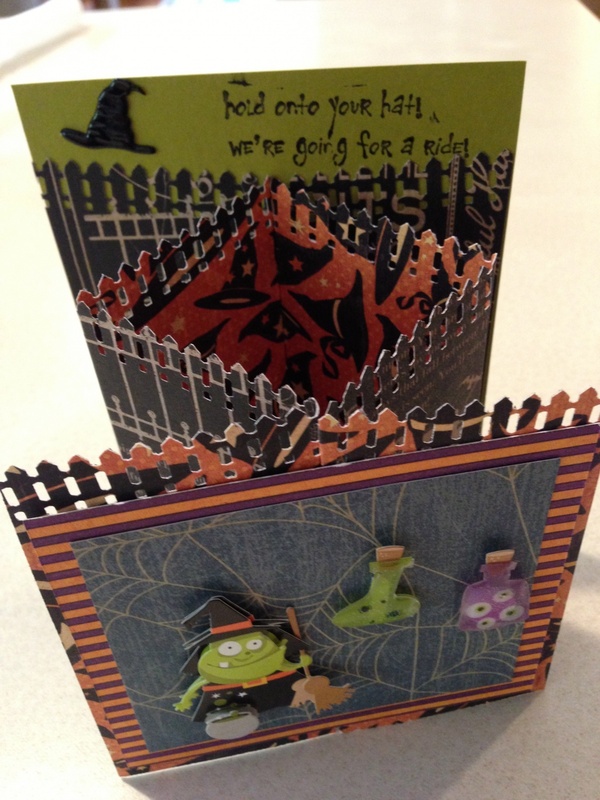 I really liked the cream one and then grey green one… it shows better on lighter colored card stock. 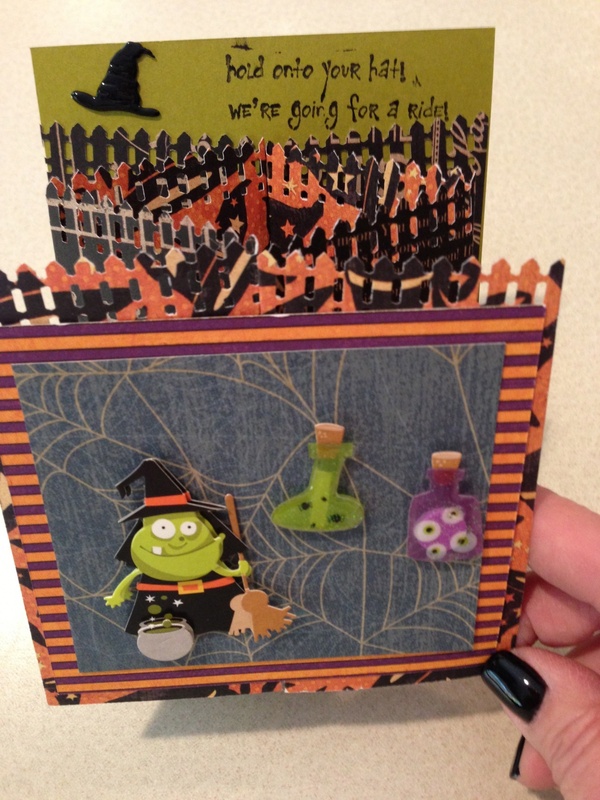 Don’t forget there are different embellishments for each month so do check it out. 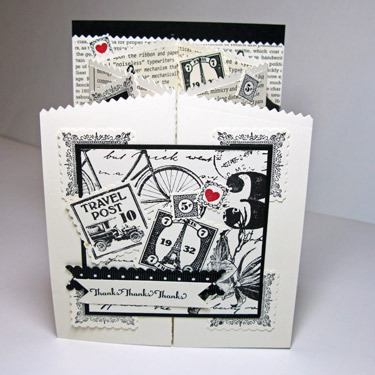 This idea came from IMPRESS RUBBER STAMPS and if you are in WA you can check their web site to see if they are offering the class near you. 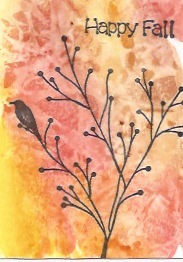 I love these little inchies and have taken a few classes where they were not made into magnets but rather used to decorate cards. 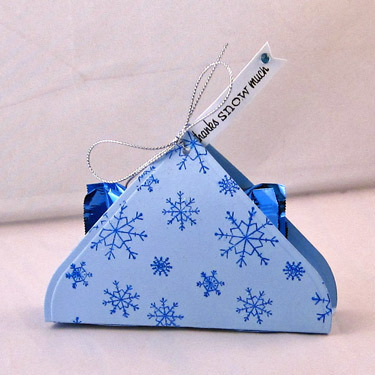 While these are on box tops…fun if you have small gifts to give and you can get the little boxes at Michael’s. But I digress…check your stamps and these work with mostly larger ones so you need to see just how many inchies you need if you are using twinchies (the two inch ones ) less will be needed but also make sure they will fit on your box top… or card. 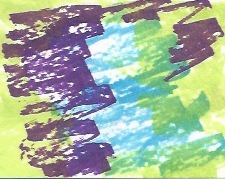 Next you can use your cutting mat and put a line of double stick REMOVABLE down and gently lay the inchies on it so that they are touching each other …then ink up your stamp and press it onto the inchies firmly but DON’T ROCK or wiggle… next you can remove them from the tape or not and color them in necessary using your copic /alcohol ink pens or colored pencils or your TWINKLING H20’S…if you want them to be even shinier then coat when dry with DIAMOND GLAZE..this will require a much longer drying period so my suggestion is pick up the cutting mat and MOVE IT away from your work space so you can give it time to dry…OVER NIGHT WOULD BE GOOD depending on where you are and humidity. IF YOU TOUCH BEFORE DRY IT WILL LEAVE A FINGER PRINT. Trust me on this I have done it…lol… safest is in another room…lol… You could also make it an antique look by using the CRACKLE ACCENTS again available in the glue section of MICHAEL’s sometimes in the scrapbooking section. It will also be slightly raised and as it dries it will create cracks and when totally dry you can use a tissue to rub dark brown or black over the cracks to make them show up better it will only color the cracks and again a few minutes you can rub off the color and it just shows in the cracks. You will notice that they glued these on with spaces between the squares you don’t have to do that but I think it makes them more impressive…Also looks like they either painted the boxes black or got them black. 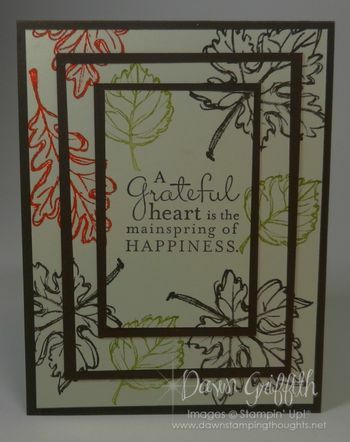 You can just rub stamp ink on those brown boxes and give them color and black does really show off the other colors…or you could just leave them as they are in brown craft paper. 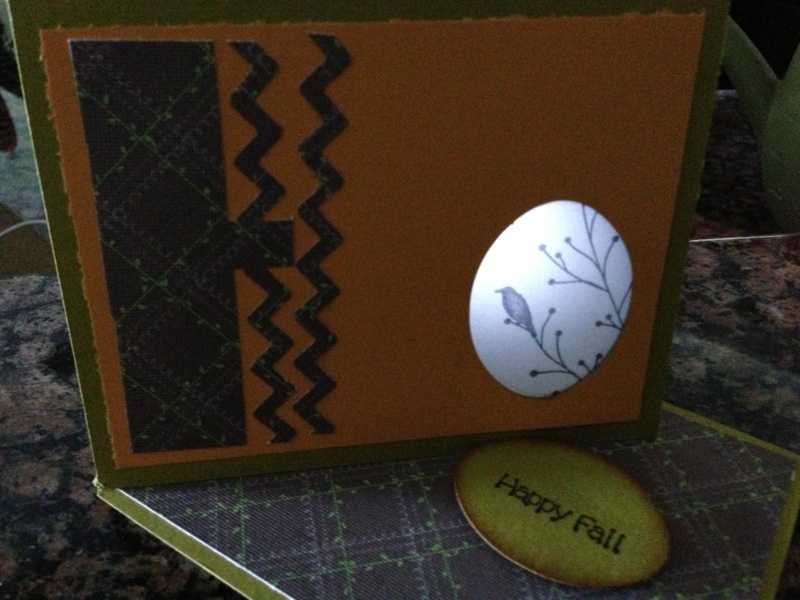 Any way enjoy and of course I’d love you to share some of the cards/boxes you make….any cards not just using this pattern…hint hint BARB. 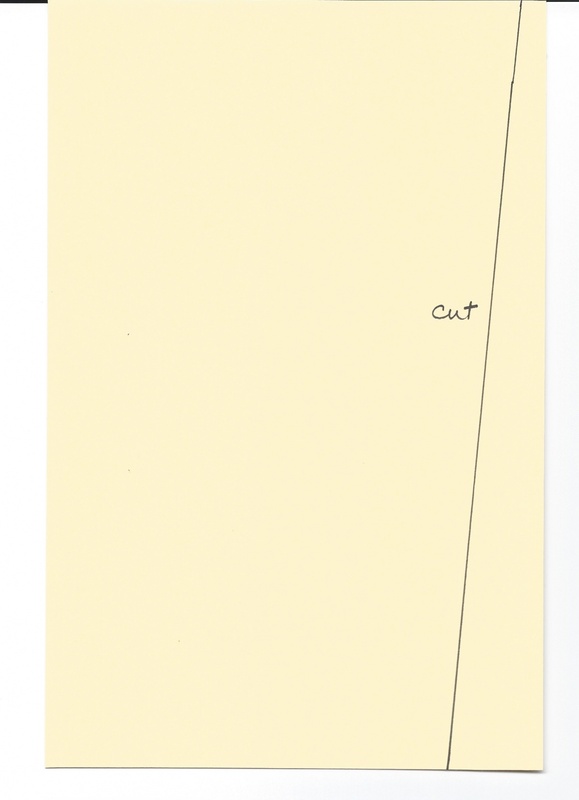 CUT ONLY ON THE RED LINES AND SCORE ON THE DOTTED LINES. 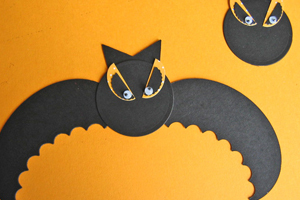 You can copy this whole page and then copy it on your card stock and after you cut it out fold it so any lines you didn’t get cut away are on the inside…or cover them with rubbing stamp ink along the edges. 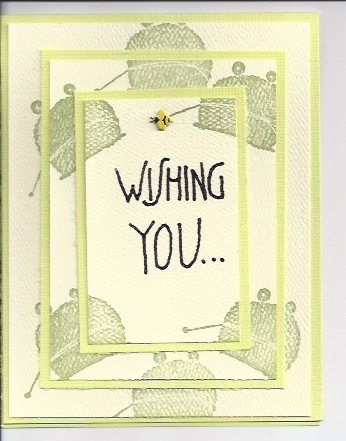 I also want to share with all my calligraphy friends that I am going to be posting more calligraphy in 2013…. 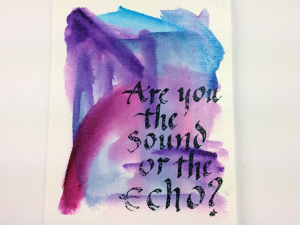 I am a better card crafter than calligrapher but I do love my calligraphy and while working on my Christmas card for this year I discovered that I need to PRACTICE MORE…lol ….my hand went numb so my NEW YEAR’S RESOLUTION is to write more and practice more. 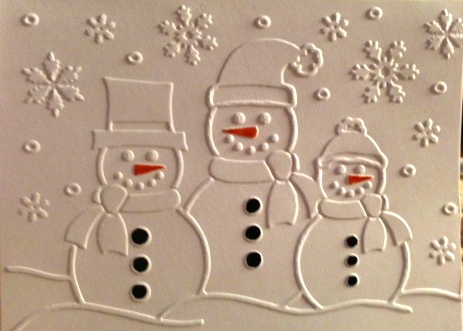 MY BFF PAMELA O’NEAL used this Darice embossing folder for the front of her Christmas Party Invitation… as you can see it is deeply embossed then she used the glaze gel pens to color in the buttons and the noses… it was stunning. 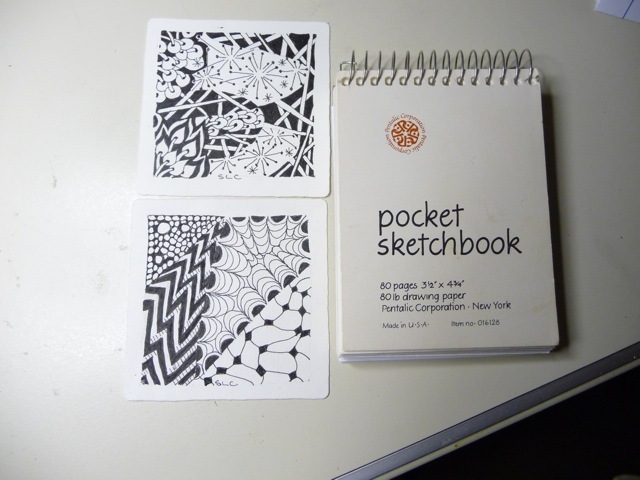 Another good friend SHARON CLYMER sent me these copies of her recent class in ZENTANGLES…as always I love Sharon’s artwork and she is a terrific watercolor painter as well as calligrapher. 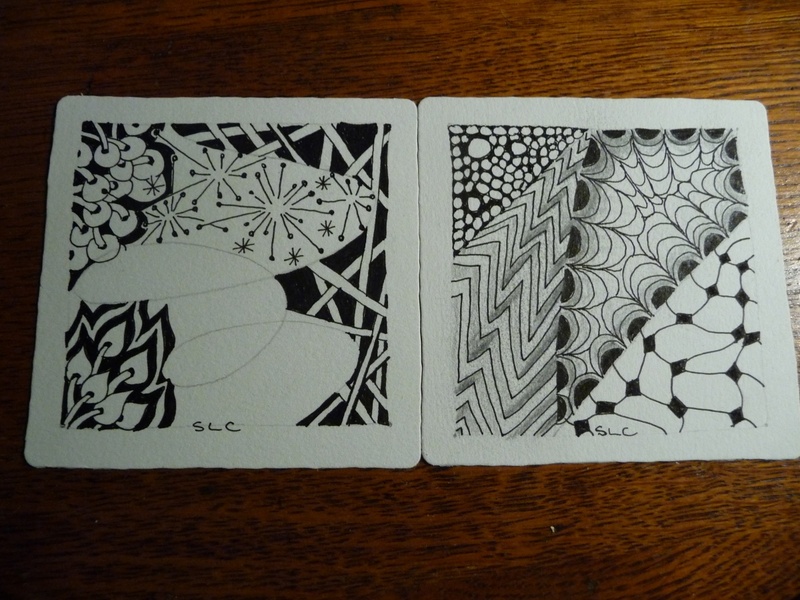 I was blown away with these images as I confessed in the Zentangle post that I am not good at this and I admire it greatly …again probably just need to practice….ya think!!! 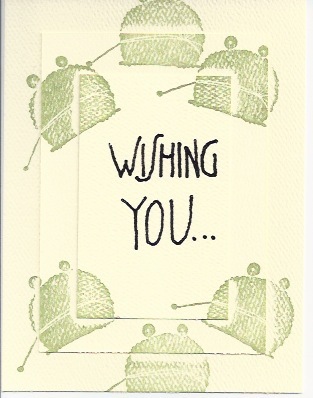 HAVE A WONDERFUL CHRISTMAS AND SEE YOU IN 2013…THANKS FOR STOPPIN BY..the wireheaded cyber toad….aka kath harney. HAPPY THANKSGIVING…..sorry I lost a day and this is posting a day late…but you’re gonna love this card..
Ok the blue line above is the link to Dawn’s video and while I think this card is very clever and cute…I also think that LESS IS MORE principle could apply here or the KISS..keep it simple stupid…BUT DAWN IS NOT BY ANY MEANS STUPID… just think this card has bit more on it than necessary. Plus you would probably want to send this only a few people and also send them the little electric candle WHICH means putting it in a box to mail or else hand delivering …hence you aren’t probably going to make 20 of these to mail out… but its still a cute idea and you don’t really have to include the candle daylight will show thru the window…( by the way I am going to refer to this as a window easel rather than peek a boo )…But her video is worth 1000 of my words so do go and watch. In addition you don’t have to do the window with multiple oval punches I only had one that I used in my sample below…also it could be a square or even a shape I tried it with a large leaf punch I had and liked it that way too. And it could also be done without using the velum paper it could be an actual window and have a photo behind it. Then you definitely wouldn’t need the candle. This is the one I did using the leaf punch and no velum in the cut out but that was an error I just glued it together before I realized that I could have had the velum in between the last two layers and then you could also have the candle I could glue it on now but it would show on the inside of the card so I decided to just skip it. 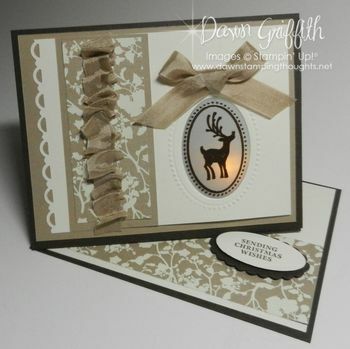 This one I did use the light behind it and again its dark so you can see the light…ok by now you may have guessed that I went a little crazy with this card style but I really liked it. In most of them I did use the window and did not use as much decoration on the front nor on the inside. I also realized that my double stick foam tape that comes in a roll is not thick enough to prop the card open .. Dawn’s ( STAMPIN UP DOTS) must be thicker so I just doubled my foam tape and it worked. I know that its hard to write down the cutting and scoring tips so I put them in direction sheet which I am posting so you will have them to print out. 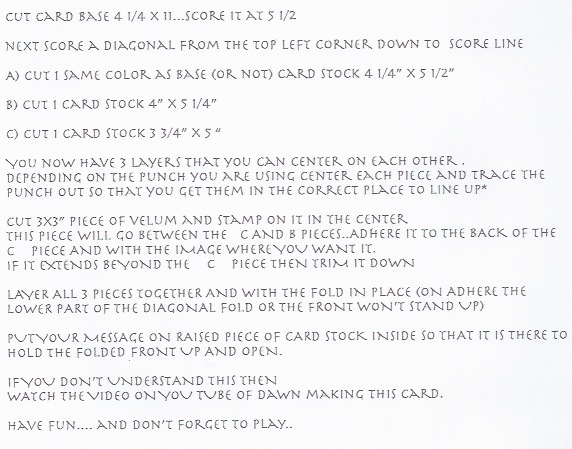 HUGE HINT: after you have folded your base card you need to score it diagonally from TOP LEFT CORNER DOWN TO THE FOLD if you don’t it will still work but the card will open backwards…guess how I discovered that!!!!! Have fun…. and don’t forget to play..
Well this week is Technique week...ALCOHOL WATER COLOR. 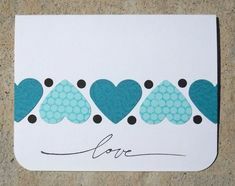 This first one is from SPLITCOAST STAMPERS and it involves using the COPIC MARKERS.. I do have a few of them and I also have the ones called PROMARKERS from Letraset. 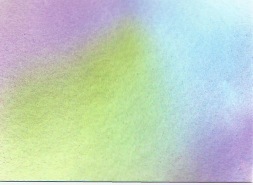 I have these because I also have a small LETRAJET AIR MARKER that connects to a canned air system that allows me to blow thru the marker and make backgrounds with alcohol inks. To use this you must use the PROMARKERS BY LETRASET. No others will fit the nozzle. I have loved this little mini air brush thingie for several years however, while you can get the markers at amazon you can only get the LETRAJET AIR MARKER at JERRY’S ARTARAMA. ( I gave you the link in blue above) I am going to show you some samples of those as well. In addition I am going to show you some samples of doing basically the same thing with simple watercolors like a PRANG watercolor set which is a lot cheaper than the COPIC OR PROMARKES. But there are some differences. Using the alcohol markers (COPIC) I tried a DIRECT TO PAPER using watercolor paper and that is the first image above and frankly I don’t like it. Its too dark and I don’t have a blender pen so it wouldn’t blend at all then the second image is using the COPIC AIR BRUSH system and COPIC PENS.. the same three colors* ( more about that later) and you can see that it is much more pleasing then the first one..its softer and can easily be stamped on or written on and it will show up nicely also it blends better. Now I have both the copic system and few of their pens because my Letraset my hose for the air brush broke and I thought I would have to throw it away….but I found that JERRY’S ARTARAMA carried the hose adapter for the canned air (Michaels) as well as the pens (also available at AMAZON) so I was back in business with my original set. I am not as fond of the COPIC because a) the canned air and system is more expensive , b) the pens are also more expensive …that said the pens are more available locally and especially at HOBBY LOBBY. So try whatever you like…While both of the above samples were done with COPIC the air brush one would look exactly the same wether you were using COPIC or LETRASET PRO MARKERS. I am really unsure what the blender would add but if anyone wants to send me a sample I’ll be glad to post on the blog. 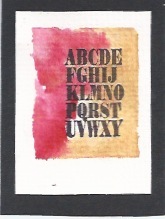 THE MAIN reason for using ALCOHOL inks for background is that it won’t bleed when you either stamp or write on them…. that said..You can buy a can of SPRAY FIXATIVE and if you spray your water color backgrounds using either paints or colored pencils it won’t bleed either. I do love the air brush effect for background but otherwise I usually use water colors because you can get different effects with one produce. 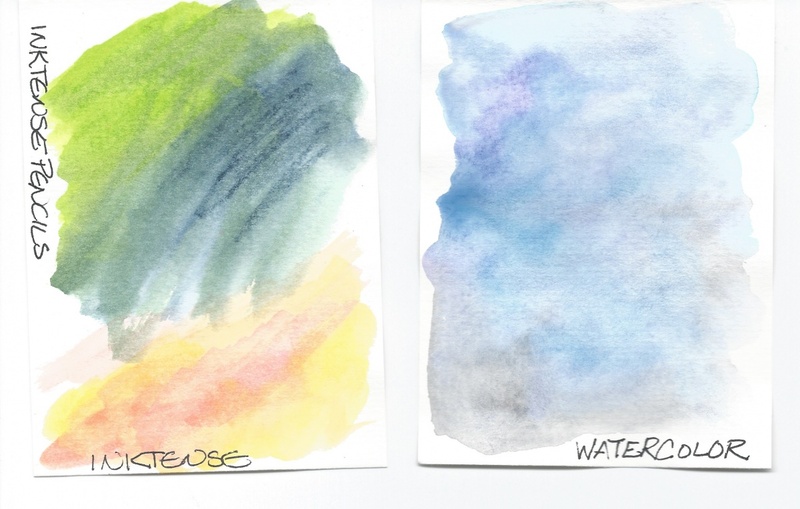 See my water color samples below. Now two of the other techniques that I like best with the water color backgrounds are SALT AND SARAN WRAP AND PLAIN W/C WITH STAMP..
With both of these they work best with wet paper and wet paint rather than the colored pencil. The salt technique needs lots of pigment and then while wet sprinkle some salt on top of the paper and let it dry… when dry brush off the salt ( trash) and once you have it all off you can spray with fixative….if you spray before you get all the salt off the will be there permanently but you might want that effect also. Fixative is FIXATIVE if you have pencil lines on there and you spray then they are there to stay. Anything on there before you spray is gonna stay. The second one is again working with wet paint on wet paper and if its larger you will need to work quickly have a sheet of saran wrap ready and as soon as you are done painting lay the saran on top of the wet and using your finger squish it around a little you will see some interesting shapes appearing…don’t overwork it or you will not have anything. Also the amount of pigment ( ie dark lots of paint ) that you have down on the paper is going to make for more contrast when you remove the saran…DON’T take the saran off until it is dry which could take a while maybe even over night if its too wet when you start to remove the saran you will see the paint beeding together and not leaving the white lines…once its is mostly dry you can remove the saran and allow the paper to dry fully before spraying it . 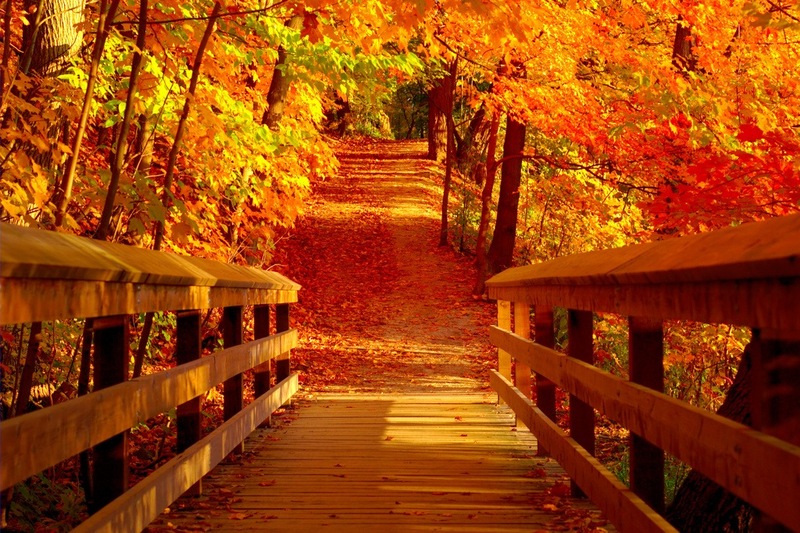 When you are mixing colors be sure that you use only 3….more than that and you will end up with mud. 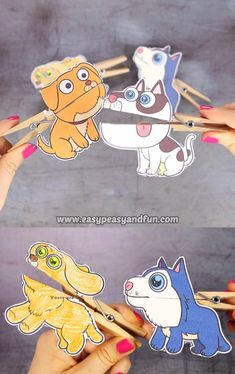 Have fun go play and make something. 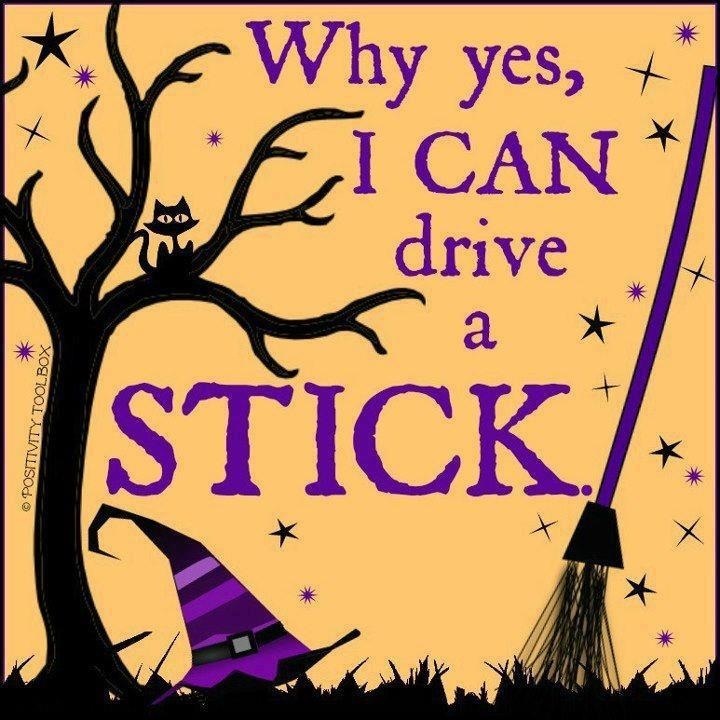 HAD TO share this because my broom is getting ready to fly…so there is lots of chaos around here . The SCS card below is very cute but what you can’t tell till you watch the video is that it is not meant to open up, only to pull out and stand up…its cute and you can make it so it opens or you can as she suggests put your message on the back. It’s so similar to the previous post but still has a character all its own and for those of us who constantly buy paper then horde it this uses only one sheet of 8 1/2 x 11″ card stock. Of course if you follow their directions you will also need some decorated paper or you can do as I suggested last week and use DUPLEX ( paper with color or pattern or both on both sides). This is so close to the last one that I almost put them together but we are making the big exodus soon and I wasn’t sure what I would come up with and I do like this one…and there are few changes and maybe you’ll like it better too. 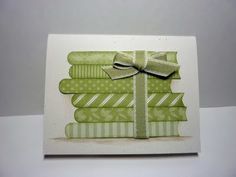 1 PIECE 4 1/4 X 5 1/2 Decorated paper as shown in video if you want. 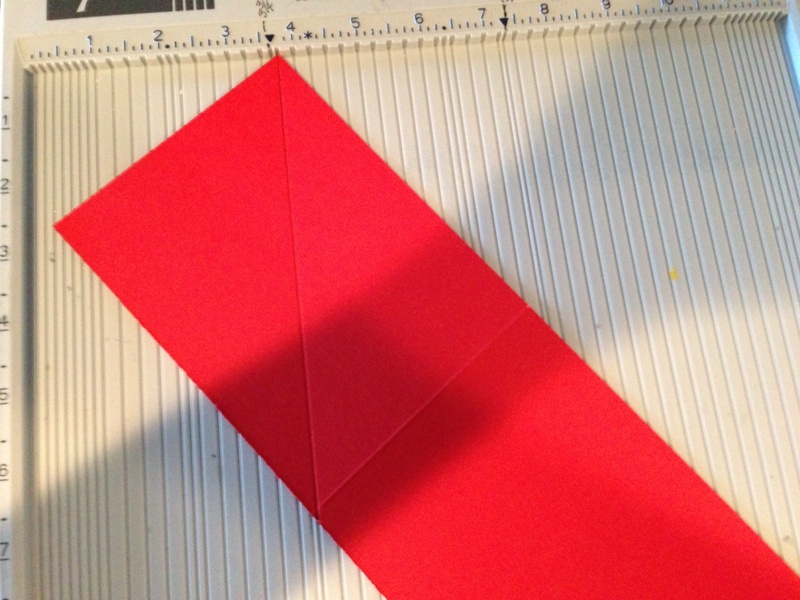 This is how you would lay the paper on your paper cutter. 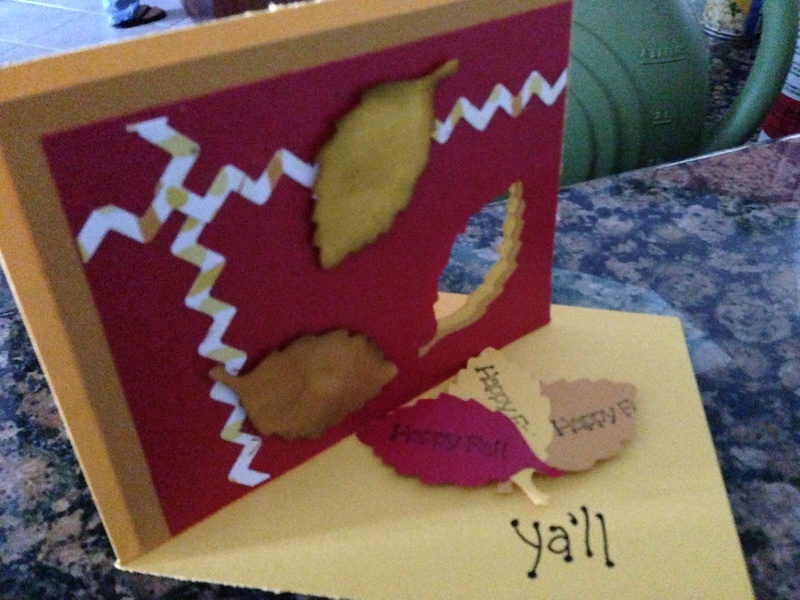 BUT THIS IS ALSO where you would need to flip the duplex card stock over (TOP TO BOTTOM FLIP not side to side) and cut the same IF YOU WANT THE DUPLEX to be the same on the front…that is your artistic choice and I like it both ways. 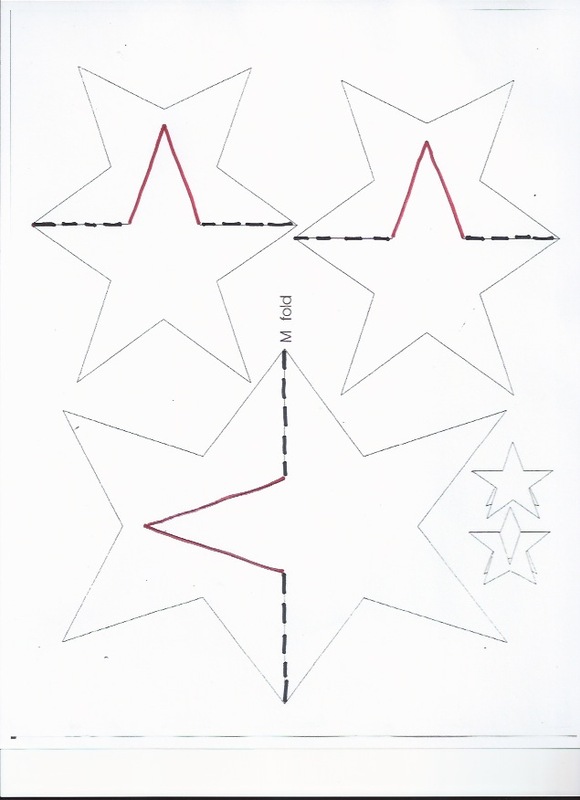 The SCS video shows you how to cut the decorated paper if you use it so that it fits the folds basically the score marks are 2 1/8 x 5 1/2 then you would lay it on the fold and draw a line for the diagonal cut and if you want it to look like a border then you should cut it just a little smaller so the edges show. I did make mine (below) so that it didn’t open and as I said all decoration on the front and only my signature on the back. 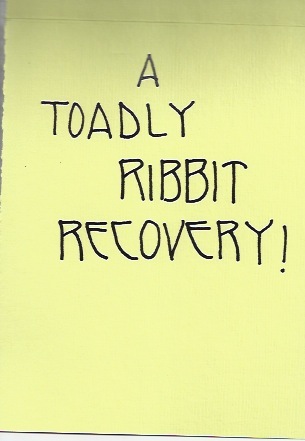 This was a link I found on SCS regarding a twisted card and I thought it was cute so I gave it a try…. again, because I am the lazy one… I used duplex paper so that I didn’t have to layer as much as this one… but either way its very cute and nice pocket you can also use it as a gift card holder… Since that is what I am giving my grandkids (16, 19, and 22… you know they don’t want gramma buying them anything…lol) I think this will make a fun way to give it to them. Well think that’s it for this week so and I know we stretched Halloween a few days but hey I promise to move on now…and hope you have enjoyed all my haunted postings.